Blogs have increasingly become a popular means of website/business marketing. WordPress has, as a result, become a powerful and effective tool used by website owners. The better part of it is that one does not need to be exclusively knowledgeable on HTML or any other complicated technological terminologies to launch their very own blogs. With WordPress, one is able to manage and even publish images, install widgets and control traffic for an efficient site management. 1. In order to build your site, you will first need to set up and register a domain name and webs host. After setting up a hosting account, you should then follow through by installing WordPress then create your pages. 2. The first step is to select a suitable name/ title for your blog. One that best describes your blog. It is also advisable to select one that can be easily picked up by the spiders for a higher ranking and more traffic. 4. After successfully getting into the site, click ‘Sign Up’ button located at the top most right corner of the page. 5. Select a login name. It should be well thought of as it will be used to set up your individual account. You will also be required to enter your preferred email address. Finally, you will be asked to review the terms and conditions, agree to them then proceed. 6. The next step is to click on the ” Gimme a blog” button to agree then proceed. 7. Follow through by entering a title for your blog. The next step will be to select the preferred language that you want your blog to be written in. You’ll decide whether you want the blog to be visible on the engine listing then double check the box as needed. Afterwards, click on the “sign up” button when you’re done. 8. A confirmation message will be sent to your inbox. You are required to click on the activation link for verification purposes and to authorize your account. This will make your blog active. After clicking on this link, your account will be confirmed. 9. The next step will be to update the profile. If you have already confirmed your account by clicking on the emailed link, you can change your pass word if you wish. 10. By now, you are free to write the first post. The navigation bar located at the top most part of the page will help you learn the areas of the blog that you can/should work on. If you are ready to write your first blog, click on the “write” button located on the left part of the screen. 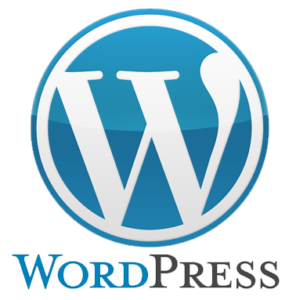 It is important to note that you can self-host a WordPress blog if you wish to. In this case, you do not need to sign up with WordPress.com You are only required to register your domain and sign up with your web host. The next step is to install WordPress script on your control panel and you are already set up.